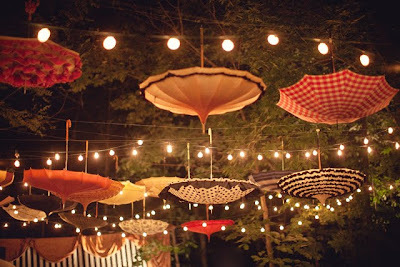 Today’s traveling circus post at The Accidental Swede, Blue Velvet Chair’s sister blog, had me thinking about some of the fun DIY circus parties I’ve caught glimpses of lately. So while I was casually rolling across blogland on the circus themed express, I bumped into this jaw-dropping-one-of-a-kind-I-want-to-get-married-again DIY circus wedding that was created by…wait for it…the bride’s family. First let me say, LUCKY GIRL! 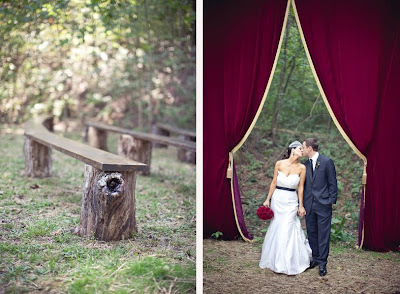 This DIY labor of love includes some of the most adorable DIY projects, like the benches that awaited guests for the wedding ceremony and the dramatic ceremony backdrop that was sewn by a friend of the family. What’s not to LOVE with this “can’t-you-just-feel-the-joy” DIY wedding. The after-party seating…spectacular! 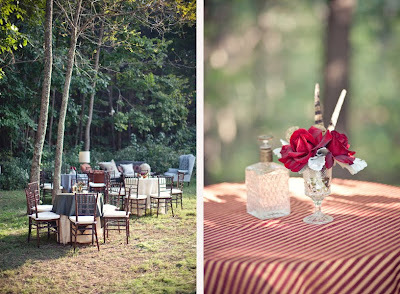 The use of vintage pieces…divine! 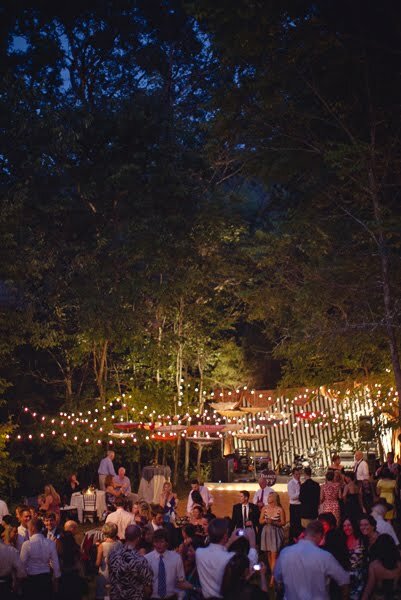 And when the day turned to night, this DIY wedding lit up! If you can imagine, this is just a sampling of this unbelievable wedding. 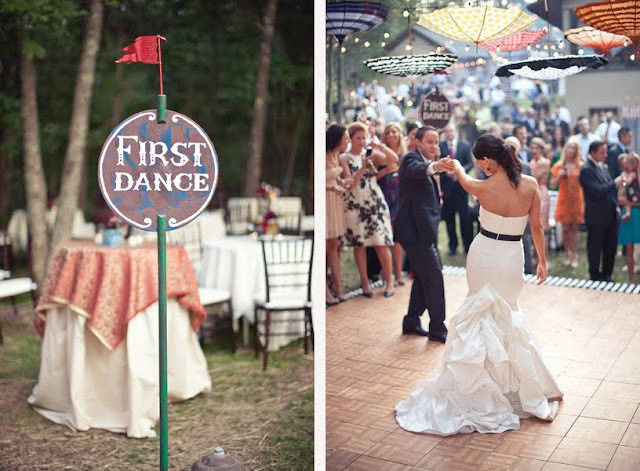 Even if you don’t have wedding plans, it’s a great fantasy escape! 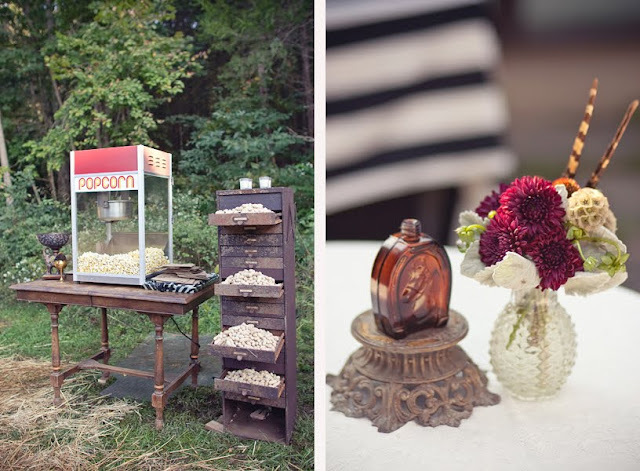 Hop over to JL Designs (run by the bride’s wedding, so she certainly knew what she was doing) and brace yourself for a wedding album of cotton-candy-goodness! Our little family trip to the traveling circus was nothing like this extravaganza, but it does give a fun little peek at my life in Sweden. 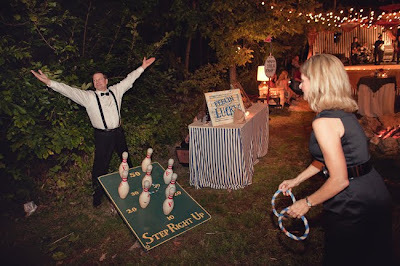 Make sure to watch the short 2-minute video for a glimpse at this fun family-owned traveling circus. Love! Love! Love this! Considering we got married at the boring old courthouse, I often have wedding envy. This is beyond amazing. 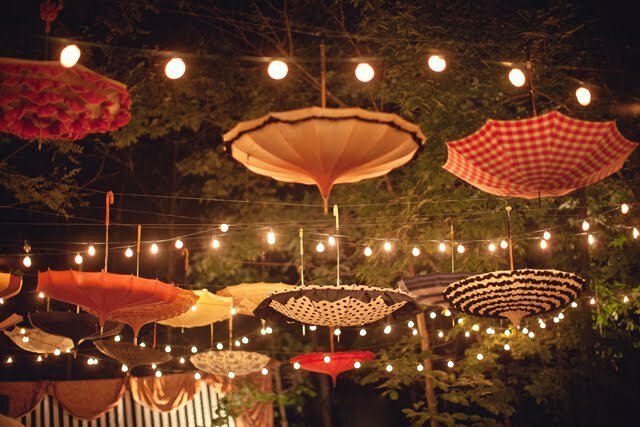 Love the upside down umbrellas!